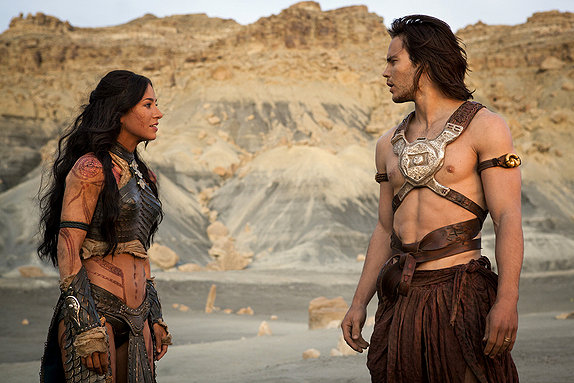 Dejah Thoris: You, are, John Carter of Earth? Well I had fun with this space jam. It must be tough for guys like James Cameron, George Lucas, or in this case - director Andrew Stanton, who work years on end to deliver a passion project of theirs, but have so much negative thought put into whether it will succeed or not based on early impressions. I am not sure how John Carter will do in its opening weekend and I am not sure how the majority of the population will react to it, but I had fun; warts and all. 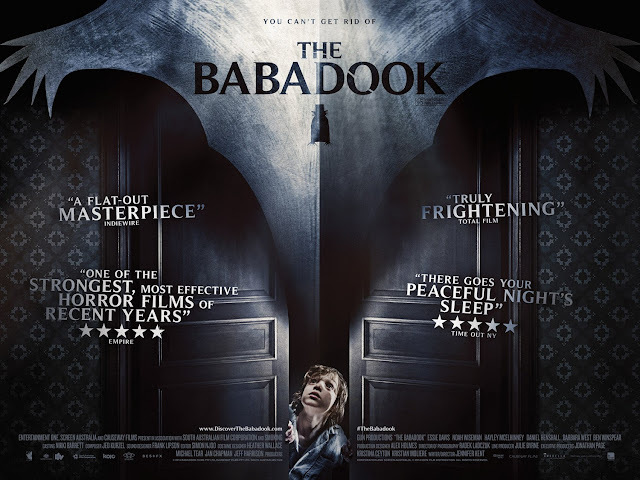 While the story rides the line between being too old fashioned and too involved, given the lack of a clear backstory build up, I really admired the spectacle that was presented. I found this to be a fun sci-fi yarn, full of inventive visuals, a handful of interesting characters, and some well-staged action. It has a few flaws, but it plays well enough as an old tale finally brought to life on the big screen. The story begins in the late 1800s, following the Civil War. Former Confederate captain John Carter (Taylor Kitsch) is on the hunt for gold, but gets himself into some trouble that leads him to hide in a cave. After making a certain discovery, Carter is mysteriously transported to Mars (referred to as ‘Barsoom’ by those who inhabit it). Once there, Carter quickly discovers that he has enhanced strength and super agility (allowing him the ability the leap high and far). The rest of the film deals with Carter, as he finds himself in the middle of a conflict between the various nations of the planet. Carter first becomes a captor of the Tharks, led by Tars Tarkas (Willem Dafoe), but proves his worth early on, after rescuing a princess, Princess Dejah Thoris (Lynn Collins), by using his amazing jumping powers (Thoris is now slouch herself either, as she is just as powerful in battle as she is with her beauty – maybe the cheesiest thing I write this year). Carter is then made aware of the war that has grown between Thoris and her people of Helium and the opposing forces of Zodanga, who are ravaging the planet. While initially only seeking a way to return home, Carter eventually takes it upon himself to help save Barsoom and its people from a growing threat. John Carter: That don't look like a fair fight. This film is based on A Princess of Mars, the first of many pulp sc-fi novels from author Edgar Rice Burroughs, whose work in the early 1900s is largely responsible for directly inspiring all of science fiction in general. 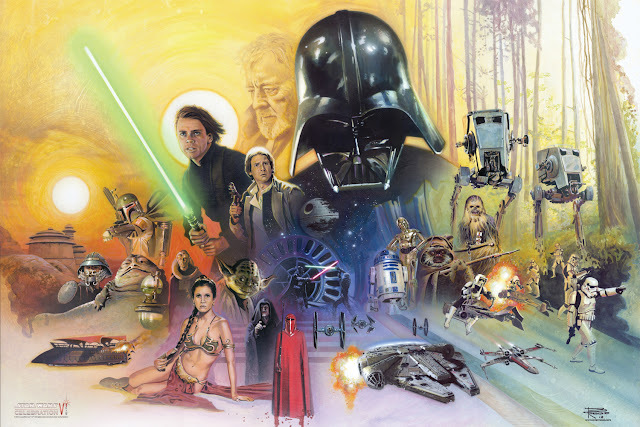 Films like Star Wars, Blade Runner, and Avatar would not exist, were it not for his work. After sitting in one of the longest periods of development hell for any film (many directors, studios, and stars were attached over the course of several decades), director Andrew Stanton (of Wall-E and Finding Nemo fame) was able to make his live action film debut, by finally bringing John Carter to life. Fortunately, I believe that he does an overall good job with what he has set out to do. It would be hard to say that the film brings a lot of new elements to the table, given that various versions of this film have been done in other forms for the better part of a century, let alone the fact that various advances in technology have similarly felt more impressive in other films, but there is a level of ambition and scope in this film, which I feel does the material justice and provides for cinematic enjoyment. 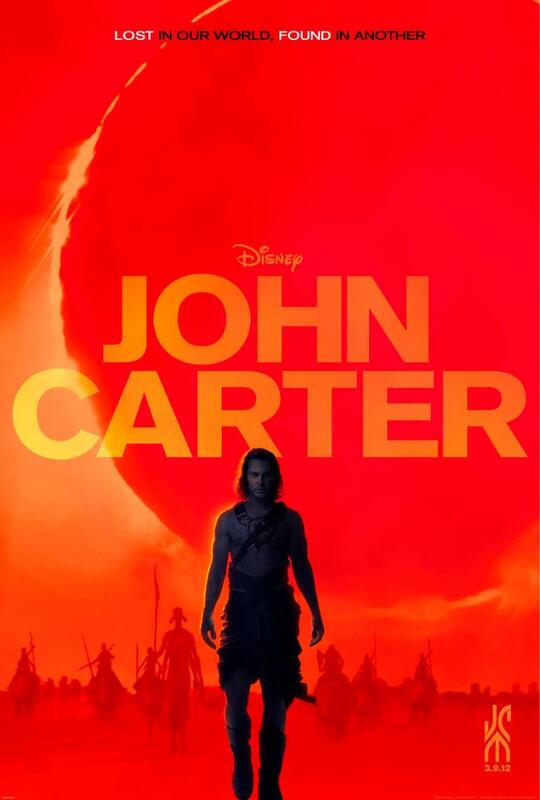 I do not think the size and scope of this film is really being portrayed well in the marketing (although discussing the marketing for John Carter is another topic all together). There really is a lot going on in regards to the production values of this film. Filmed on studios and in Utah for wide landscape settings, I really admired the aesthetic of Mars that was established for this film, reflecting a sort of classical vision for the setting. The combination of rural and desert sets, along with the sheen of the fancy cities we see and the ever-present use of flying ships that battle in the sky are nice sights to behold. With the combination of technology and nature working well to provide another new cinematic environment to enjoy, I was happy to be a part of this new take on Mars. The quality of the visual effects certainly does great justice to the film as well. As opposed to Tron: Legacy, which did a lot in the way of providing a mixture of blacks and neon, John Carter has a lot more fun providing for expansive visuals in the forms of the aforementioned flying crafts and cities seen throughout, along with the look of the various creatures; notably the Tharks. Little green men these are not, instead, the Tharks are multi-armed, 12-foot tall creatures (the actors literally stood on stilts, while in motion capture suits, so the human actors would better act alongside the “aliens” of the film), which look great alongside the other human characters; feeling about as tangible as they could seem. This would be a good time to point out that I did see this film in IMAX 3D and while it is a post-converted film (and not entirely necessary), it stands as one of the best post-converted effect job I have seen, but deserves a wide screen to see it on regardless. Tars Tarkas: Did I not tell you he can jump? It is also fortunate that this film has a pretty strong cast to work with. 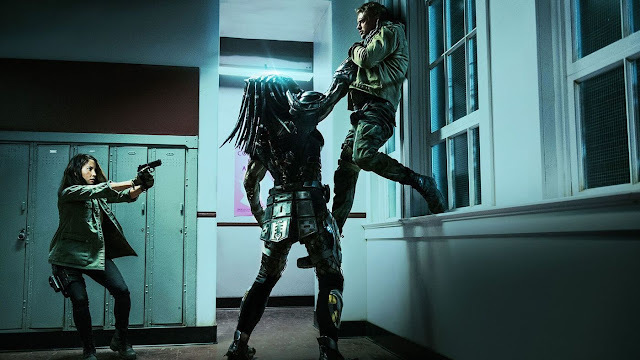 Ascending to the ranks of box office stardom, Taylor Kitsch (of Friday Night Lights fame, who will also be starring in this summer’s Battleship) makes for a solid leading man here. 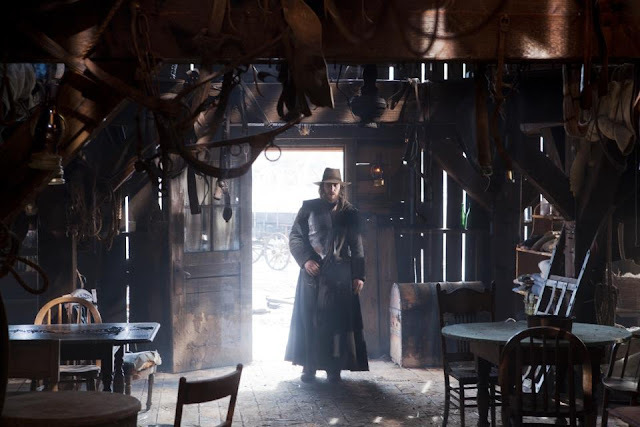 There is an attempt to keep his voice gravely throughout, which is kind of humorous, but Kitsch also has a humorous sense of physical acting and delivery (akin to other classical pulp heroes represented in movies) that serves him well for this film. The fact that he is essentially in a loin cloth for much of the film and doesn’t look silly is a nice bonus as well. While the character of John Carter may not take off in the way of someone like Capt. Jack Sparrow, I did enjoy watching what could have been a bland and boring role, especially given how we come to understand his emotional state in the film and see it change. The strongest performance comes from Lynn Collins as Dejah Thoris, as she is the most developed character. While beautiful, she also gets to be involved in a lot of the action and establish purpose to the story. The fact that her decisions involve the literal survival of Barsoom as a whole is interesting, providing some real depth to her, as she deals with how to approach John Carter and his goals in this film. And have I mentioned that she’s a looker and a fighter? While the standard ‘save the princess’ notion of these types of films does come into play, there is a strength to this character, along with a good amount of chemistry, that makes her a solid secondary lead of the film. John Carter is also filled with plenty of great supporting actors as well, regardless of how important they end up being in the film. In something of an HBO reunion, Dominic West (of The Wire), Ciaran Hinds, James Purefoy, and Polly Walker (all from Rome), are all present in this film, with West serving as one of the main villains, while Hinds plays emperor, or Jeddak, of Helium. 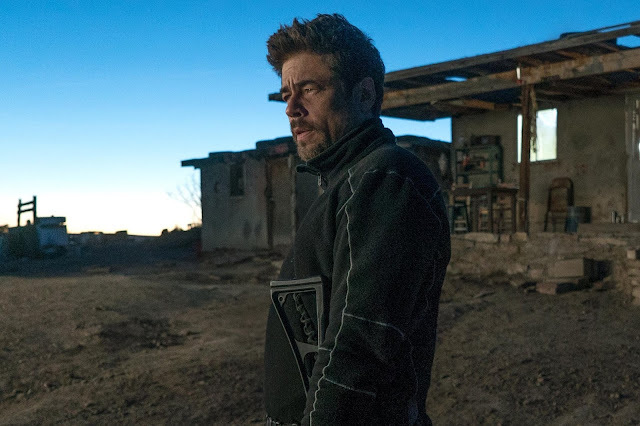 Then you have Thomas Haden Church as a rival Thark warrior, Samantha Morton as the daughter of Dafoe’s character, Mark Strong in yet another, though menacing, villainous role, and even a little Bryan Cranston early on in the film. It is quite the cast. This brings me to an area, among a few others, where the film does stumble a bit. While I can appreciate a cast filled with talented actors, there are times when it seems a bit overwhelming. I am mainly referring to having Dominic West and James Purefoy, who are so similar looking, that it is easy to get the two confused. Given that these two are on opposing sides, that makes things all the more important when trying to figure out what is going on. 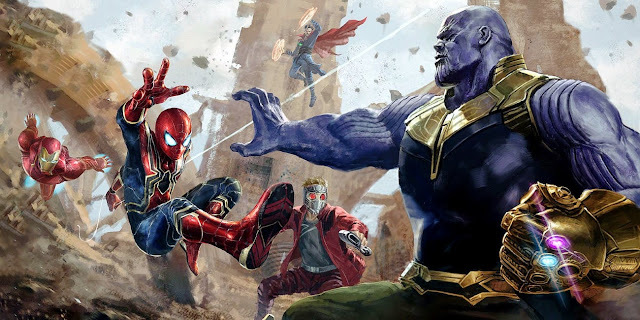 This extends to the war that is occurring within this film, as groups of people are basically separated by the fact that some wear blue and some wear red. It took a bit for me to really clear up which side I was supposed to be supporting in all of this, as I basically watched two sets of similar looking people and spaceships clash. I think there is an argument that can be made regarding John Carter’s own experiences during the Civil War and how similar men were fighting each other in that situation, but regardless, there was problem in visual communication that was a bit irritating. Dejah Thoris: Will you stay and fight for me; will you fight for Barsoom? The other issue revolves around how convoluted the plot is, given that there is a certain shallowness to the overall motives of many. For being a story essentially about one man doing a little soul searching and finding the nerve to stand up for what is right, there is a lot of extra information, characters, and plot taking place. Now that said, I do admire the film for doing more than providing the standard hero’s journey story; I just wish things were a bit clearer in getting across some of the history, along with who is who, and who needs to go where. For being a film that is rooted in pulp-style mythology, there is certainly a bit too much going on. It takes a little bit of time for this film to get going as well, though I did enjoy the setup, which has a quick trip to Mars, before heading back to the old west (prompting me to think of this film as the movie Cowboys & Aliens should have been), which only suffers because of the addition of another narrative, presumably to help provide a window for the audience. However, once we get back to Mars, I was really into the adventure John Carter was a part of. This includes a few very strong action sequences, one involving Carter’s initial jumping to save the princess, another involving the much advertised gladiator-style arena sequence, and finally, one scene that involves Carter in a large battle, while cutting back and forth to a pivotal time for him back on Earth. I would say the climactic battle suffers do to the strength of previous scenes, in a way that is similar to The Adventures of Tintin peaking too early, but I would still say that, as an adventure film, there is certainly enough adventure on display here, as however much this film really cost, it looks to be presented on screen. I would also be remiss to not mention the soaring score by Michael Giacchino, who adds a great adventure spirit to the proceedings. Given that there was a lot of expectation vs. experimentation in the production of this film, I can say that it at least paid off for me. I couldn’t quite say that Andrew Stanton should receive as high regard as fellow Pixar film director Brad Bird, who made the most recent Mission: Impossible film, as far as creating a consistent and focused live-action adventure film, but I do think he is quite capable in either realm. Were he to have a chance to make a sequel to John Carter, I would certainly still be excited to see what Stanton has learned after working on this initial launch of the character. In any case, there was a level of awe that I found in the spectacle of this adventure and I would be happy to take another trip to Barsoom. See you Space Cowboy…of Mars. Tars Tarkas: When I saw you, I believed it was a sign... that something new can come into this world. Surprised by the rating. The trailer looked so stupid.